Fabulous and functional acrylic tray easily transports snacks and drinks around your boat or home. Just the right size and weight to handle anything you stack aboard! Our over-scale etched rockfish makes this tray a big splash for any occasion. 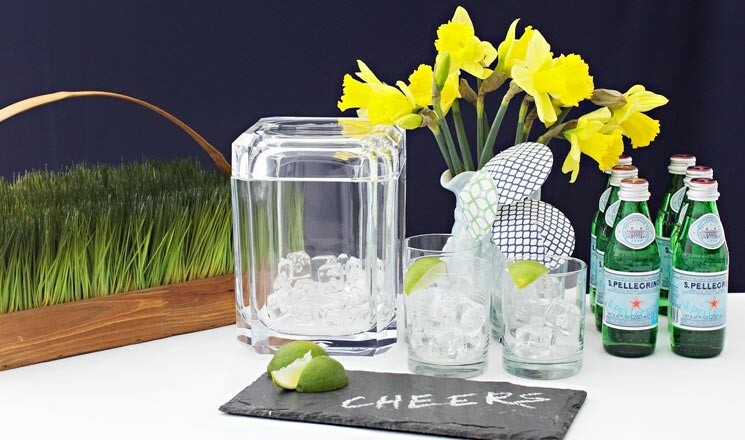 Our pivoting top ice bucket honors our tradition for creating products to keep you effortlessly organized. It’s said that form follows function, but this one clearly is a toss up! With your glass in one hand and the tongs or scoop in the other, you no longer need a third hand to hold the top of the bucket while you freshen your drink! 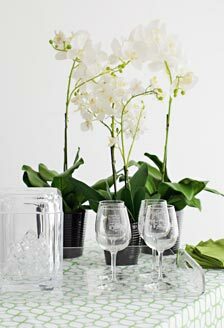 Ready and willing to handle everything from an engagement soiree to a casual and impromptu happy hour down the block, this useful piece will add boldness to any table. It’s etched with our iconic rockfish and is a “reel” conversation starter!